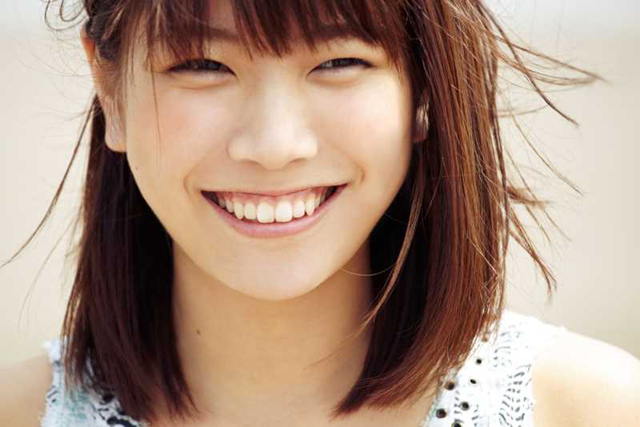 Aoi Yamazaki is a singer/songwriter from Sapporo, Hokkaido who is also a fulltime university student. She was one of the 5409 contestant groups at “The 3rd Music Revolution” in 2009 and was awarded the grand prize and the special recognition award. During her high school years, 8 songs of hers were selected for commercial songs and theme songs for various projects. With a clear, pure voice and the world of her realistic lyrics, she has been greatly supported by female listeners of her generation. The quality of her lyrics was proven as her songs have ranked #1 on lyrics sites on the first day of information release. Because of such lyrics that everyone can relate to, Aoi Yamazaki has earned herself a nickname “synchro-type singer/songwriter.” She was selected as one of “NEW ARTISTS 2013” by iTunes. She has also been appointed as an official supporter by Japan Curling Association.